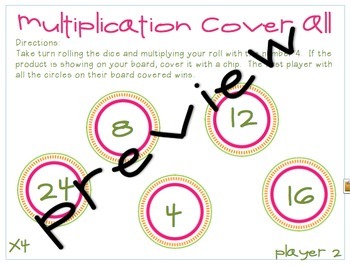 Fun game for practicing multiplication with 3's, 4's, 5's, and 6's. 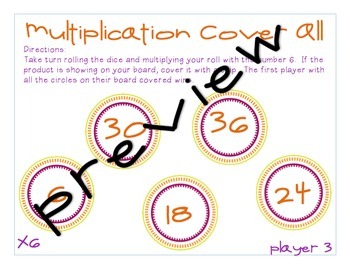 In this game, students take turn rolling the dice and multiplying their roll with the number 4. If the product is showing on your board, they cover it with a chip. 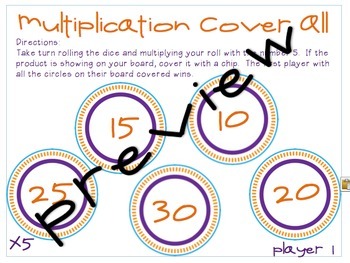 The first player with all the circles on their board covered wins.